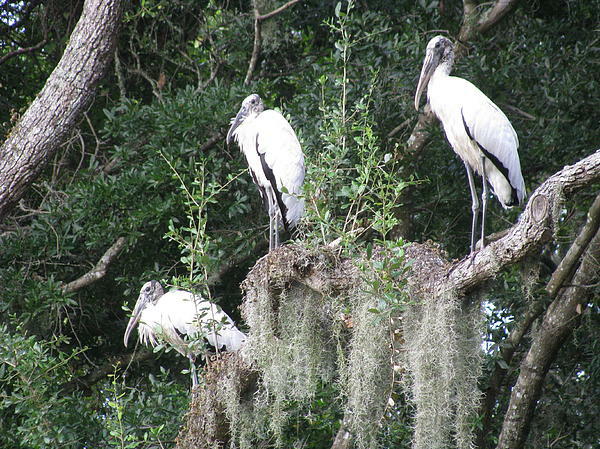 There are no comments for Three Wood Storks. Click here to post the first comment. 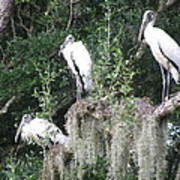 Three wood storks rest on the spanish moss covered oak tree limb at dusk. 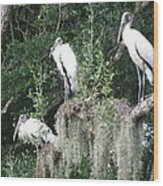 Wood storks are an endangered wading bird and are nicknamed "old flinthead" because their bare head shines like hammered metal.